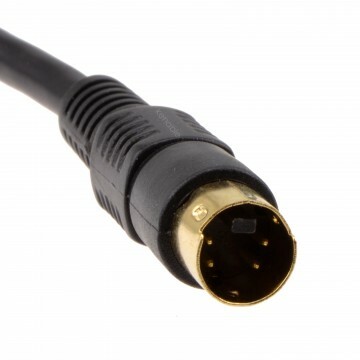 SVHS (also known as S-Video) plug (4 pins) to plug (4 pins). Carries video only (no sound). 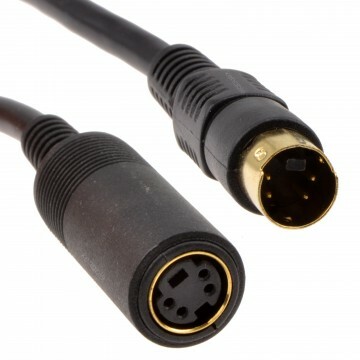 Results in better quality than composite cables. Standard now on most TV s and other visual devices (DVD players camcorders projectors) and now on most computers (as TV-Out or Video-In).